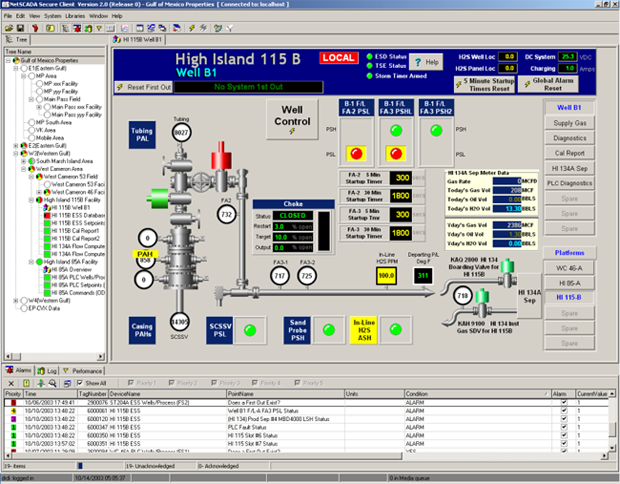 NetSCADAWeb-based HMI and SCADA software package designed for industrial control systems. Note: NetSCADA is no longer available. 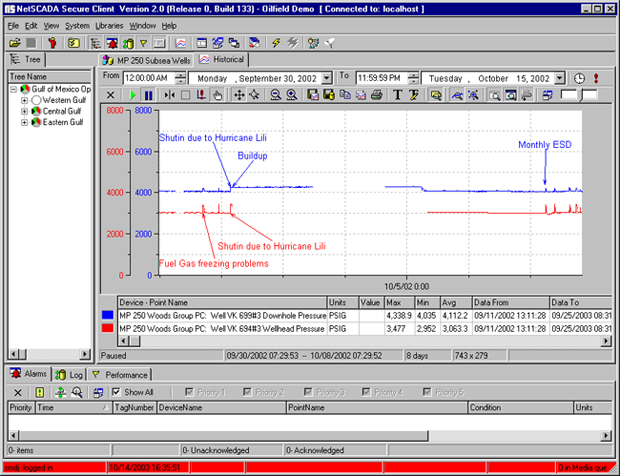 For a full-featured SCADA system, please see eFCAS SCADA. NetSCADA is an Enterprise Client/Server HMI and SCADA system that allows configuration and monitoring over the Internet. NetSCADA’s object-oriented configuration allows users to easily organize and replicate multi-RTU sites in a fraction of the time a traditional SCADA / MMI would require. Combining ease of use with an all inclusive development / runtime package, built in SQL database and unlimited I/O tags, NetSCADA offers the lowest total cost of ownership of any SCADA / HMI system. Template and database oriented screen/point configuration, combined with powerful historical trending features make NetSCADA comparable to specialized enterprise SCADA host systems costing many times more. SQL Historian Advanced SQL Historian built in. Expensive Add on. Configuration Simple Object oriented Copy and Paste configuration. Complete design, edit and view capabilities built in. Configuration via custom programming and scripting language. Expensive add on extras/options for configuration. Scalability Simply purchase S/W key to upgrade to next package up. No rework or reconfiguration required. Rework and reconfiguration may be required to scale up. Communication Interface Robust interface to cellular data, fibre optic, RF microwave & Satellite. Not designed for robust wireless communications. upgrade to a higher package option; only purchase of a software key. Hosted SCADA Solutions using Client-Server SCADA Host software enables clients to login to a secure website to monitor their remote sites. Internet SCADA or Web-based SCADA makes use of IP technology in SCADA and can range from IP tunnels over satellite, frame relay, fiber, radio to link SCADA networks to central office to individually IP addressed instruments or devices or web-based SCADA Host access. Alarm dialers (also referred to as ARU, Voice Dialers, Alarm Callout Systems) are systems that dial out on alarm conditions to alert personnel via telephone, pager, fax, or email.